Not sure what get him or her? Need a last minute gift for that special someone? Let them decide with an instant Ann Marie’s Online Gift Certificate. 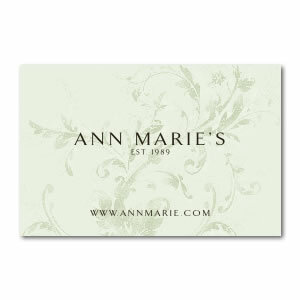 This purchase will issue a gift certificate number to be used in our on-line store...annmarie.com. Order online or ring us at 800-706-9993 and we can help you with your selection.